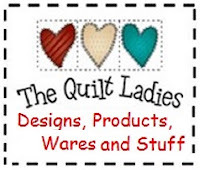 The Quilt Ladies Book Collection: Great Quilt Reference Book on Sale NOW ! I'm reposting, the book is NOW back at Amazon, it sold out SO fast. Just click on book here to purchase. I received this book for my birthday in January.